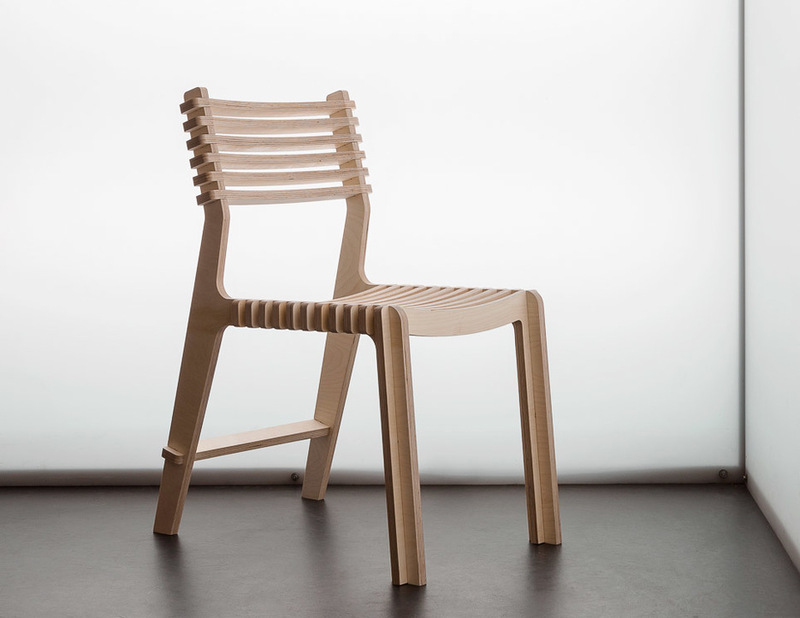 The Valovi Chair has been made in more than half the countries in the world. 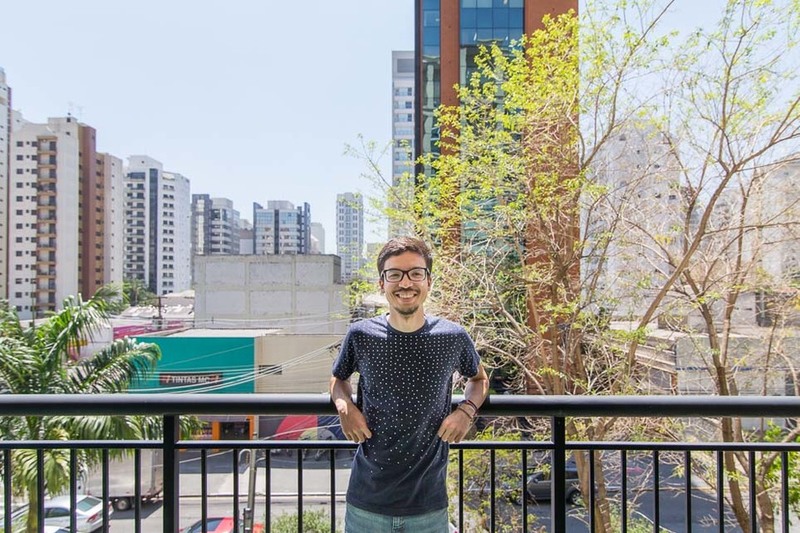 We take a closer look at the design and catch up with its creator, Denis, at his home in São Paulo. 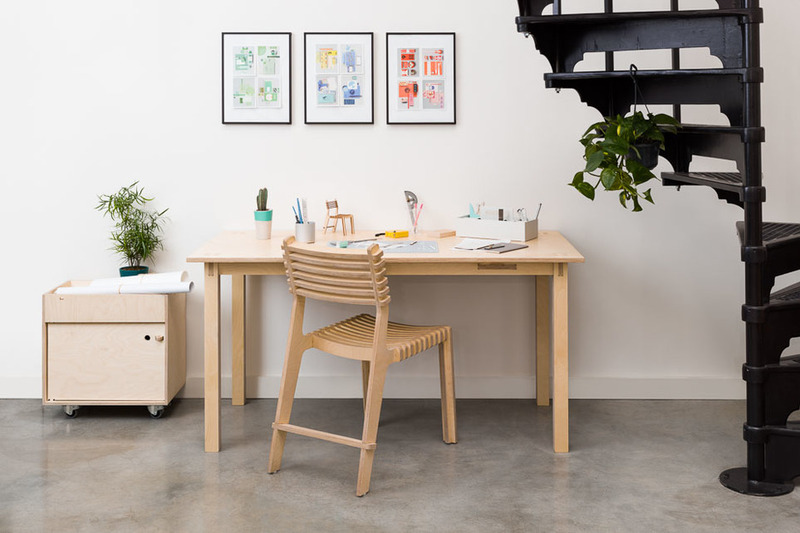 The Valovi Chair is one of the oldest designs in the Opendesk furniture collection. It’s certainly the oldest chair along with the Roxanne Chair by Pierrick Faure, and the Slim Chair by Jose Pacheco. 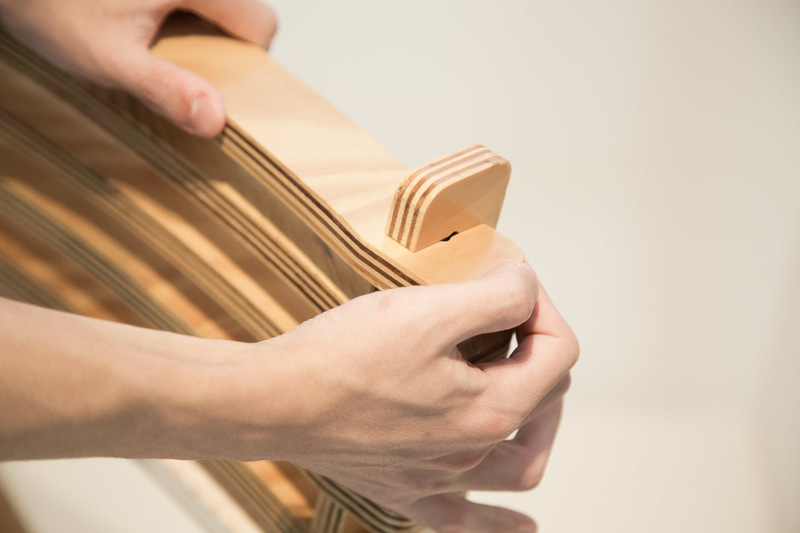 Its use of one of the most trusted wood joints, the lap-joint, has made it a DIY favourite with Valovi having been downloaded and made non-commercially nearly 10,000 times. Its popularity is a testament to the simplicity of the design that, with its 20 interlocking pieces, is a joy to make. Denis’s latest improvements are invisible to the naked eye but make all the difference under the hood. 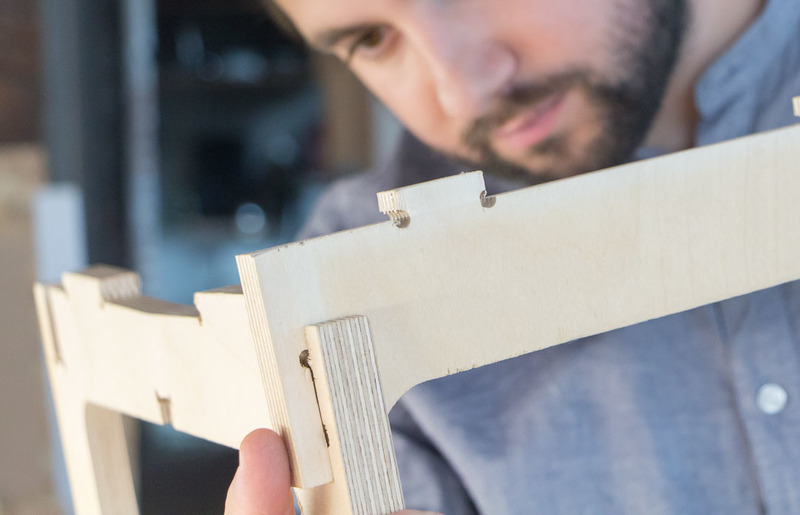 With the help of parametric design tools, each lap-joint has been adjusted to ensure a tight connection. Each “lap” clamps down on its opposing part, creating high levels of friction. This friction is repeated across all 36 lap joints to create a structure that is incredibly strong. 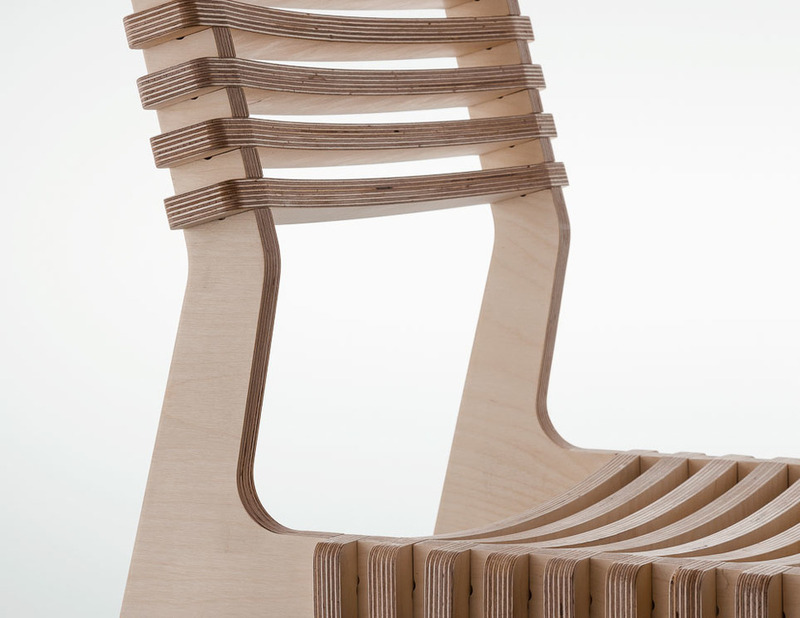 A beam across the bottom of the back legs adds tension to the structure of the chair. The beam is deliberately oversized - 10mm wider than the other cross beams. This pushes the back legs apart and pins them in place, while the bending this forces creates tension and stiffens the structure. These subtle engineering details add up to make Valovi a lifelong seating companion. Over the years the Valovi Chair has been recognised for its contributions towards Furniture Design and Open Design, appearing most recently in Vitra’s Schadepot collection. 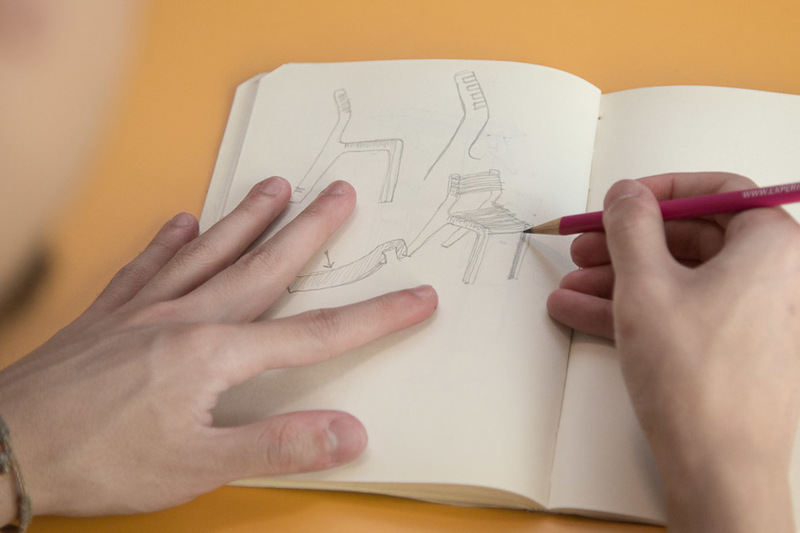 We caught up with Denis in São Paulo to learn more about the origins of his Valovi Chair. 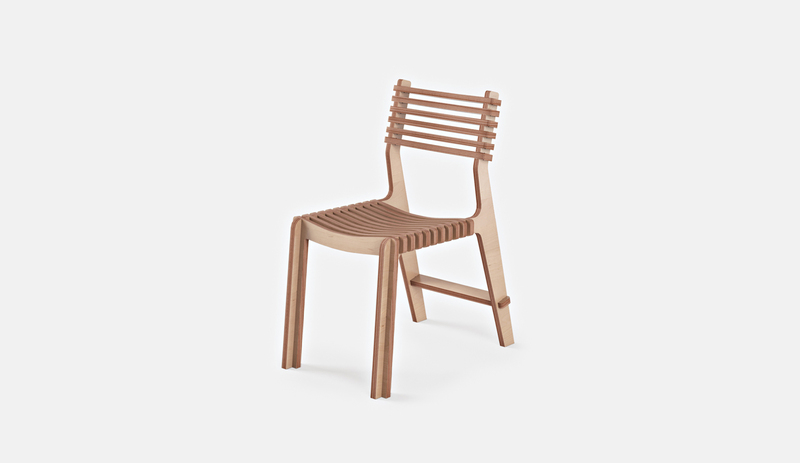 Denis: The Valovi Chair is made up of 20 interlocking components. It’s a comfortable side chair with its curved seat and back. Valovi means “waves” in Croatian, and in fact, the chair was designed on my return from a vacation in Croatia. At that time I was already in love with digital fabrication. 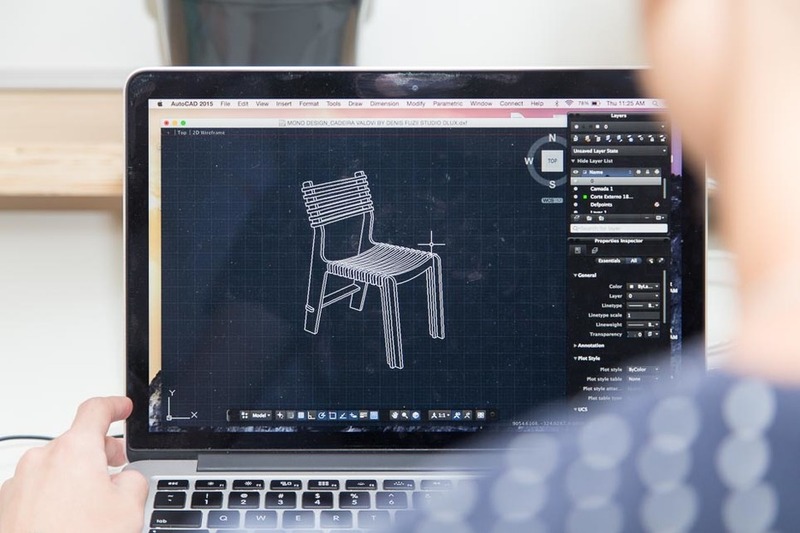 I had already designed my first chair, the Kuka Chair, for a client and discovered the magic of CNC machining. Watching the calm waves of the Adriatic sea, inspired me to put pen to paper on my next project - the Valovi Chair. I wanted to break the myth that wooden chairs cannot be comfortable. 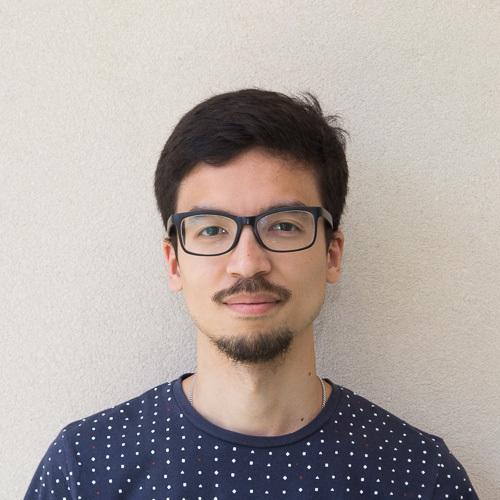 I designed Valovi to use sheet materials in a way that would bring the most comfort. I used the flatness of the material to create contours that were shaped to offer the more support and comfort. Since Valovi is made using only one manufacturing process its production is simple. With its charmingly basic construction, it’s quick and satisfying to assemble. In its lifetime, Valovi has been produced in more than 100 countries, validating my reasons for sharing the design openly in the first place - to reach people all over the world. 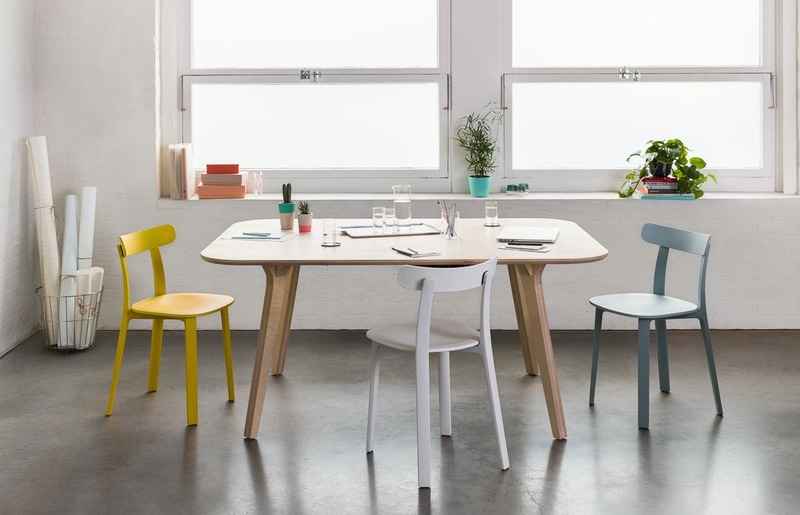 Want the Valovi Chair in your home or workplace? Add it to your basket and Request a Quote from a local maker today! Some of our favourite CNC made joints from remastered classics to new experiments.